Alexon Design is a full service, Arizona swimming pool and landscape company, offering professionalism and expertise from concept to completion. We will be in constant communication through each step of your project. This allows our construction department, and you, the homeowner to be on the same page throughout construction. This insures that you receive a great final project, as well as an excellent overall experience. After your project is complete, we take the time to educate you on maintaining your new pool and landscape. You will be given a thorough walk-though that includes an instructive close out packet. We offer weekly pool and landscape maintenance, depending on your location. We are small family, full of creativity. As you browse through our landscape gallery, you will see the diversity in our custom designs. We want to install projects that are unique to your property and lifestyle. And you have my word that we will stay focused on what I feel are the five main elements to a successful landscape project: communication, design, supervision, craftsmanship, and customer service. We want Alexon Design to be synonymous with Arizona swimming pools and landscaping. 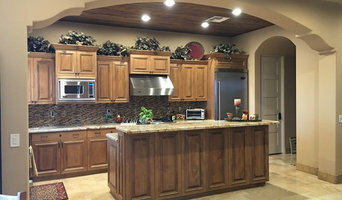 For over 35 years the Knipp Family has been building and remodeling homes. Knipp is a name you can trust with your home or investment properties. Helping families in Dallas, Houston, Indiana, Arizona, Las Vegas, Tampa, Orlando, Miami, North Carolina and Georgia, Looking to renovate purchase then renovate? You can with one loan with the FHA203k-renovation loan or the Fannie Mae Homestyle loan. Both loan types allow homebuyers to find a desirable location and renovate the home to their needs, instead of settling for a less than desirable home. The renovations are wrapped into one loan. Book a consult: <a rel="nofollow" target="_blank" href="https://bianchidesign.youcanbook.me/">https://bianchidesign.youcanbook.me/</a> to elevate your outdoor living to an art form! In 1999 Kirk Bianchi decided to start his own company, WaterScapes by Bianchi Design. Kirk’s mission is to transform your ordinary backyard into a “waterscape”—or a custom work of art. Now he is among the elite pool builders in the United States. Those who view Kirk’s work are struck by how his architecture and landscape design integrates and blurs indoor/outdoor spaces in a simple yet elegant way. 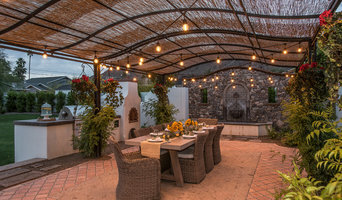 This approach makes him unique among conventional pool and landscape designers who do not integrate the elements of architecture, landscape and pool design together. Bianchi truly creates, “outdoor rooms” or waterscapes that function as an extension of your home where you can swim, entertain and relax. Bianchi’s forte is twofold: he knows how to capture your esthetic and lifestyle opportunities while maximizing your return on investment. The result? His design methodology and team of craftsmen will help you discover the exact strategy needed to make the most of YOUR property. Sonoran Earthworks is the Valley’s preferred luxury landscape & design company. Our team is comprised of highly experienced individuals and certified contractors that specialize in everything from landscape design to swimming pools and outdoor patio space designs and installation. With Sonoran Earthworks you can always expect creative 3D designs, competitive pricing, timely and organized build out periods coupled with exceptional customer service & professional installers. Experience the difference and enjoy your very Sonoran experience today! If you’re in need of some brick or stonework, hiring a qualified Phoenix masonry contractor will be your best bet. Masonry construction in Phoenix, AZ can include anything from building walkways and structural walls to repairing old or broken stonework, using materials like brick, cement, concrete and stones. Some Phoenix, AZ masons do all types of masonry work, while others specialize in certain structures or materials, so be sure to find the right masonry contractors in Phoenix, AZ for your job.